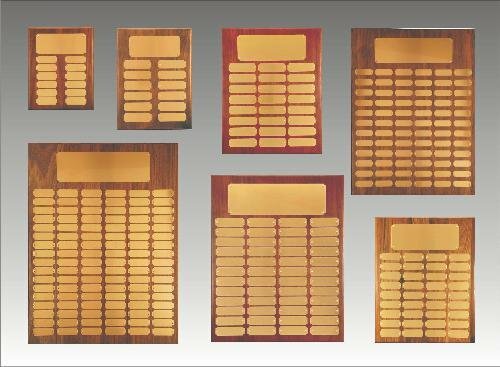 A solid Walnut Plaque with twenty four large elegant Satin Gold brass engraving plates and one header plate. The stylish engraving plates can be rotary or laser engraved. 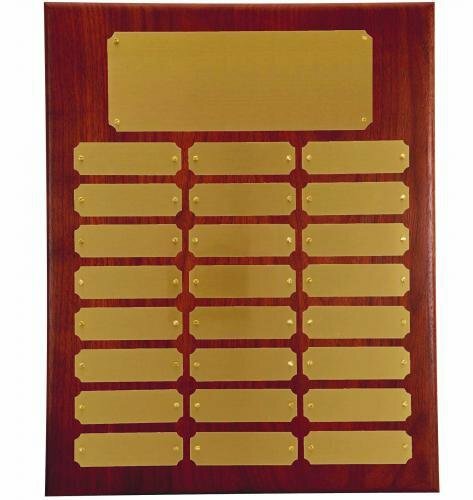 This award comes complete with mounted plates and hardware.